Last year, the Epson Home Cinema 5010 was among the best home theater projectors in its price range. This year's follow-up model, the Home Cinema 5020UB, builds on the success of the previous model while improving on its most significant drawbacks. The 5020UB retains the high light output, inky black levels, accurate color, and razor-sharp detail of the 5010. It adds radio-frequency 3D glasses which don't interfere with remote control operation and includes two pairs in the box. It still has best-in-class zoom and lens shift, making it one of the easiest projectors to set up in your home regardless of the size or shape of your room. While competition this year is fierce, the Epson Home Cinema 5020UB is a great projector for home theater. The Epson Home Cinema 5020UB comes in two flavors: the base model and the 5020UBe, which includes a WirelessHD transmitter. The two are otherwise identical. Our review centers on the "e" model, but comments can be equally applied to the base model unless specifically noted. The 5020UBe is, like its predecessor, a projector primarily intended for use with film and video in a darkened home theater environment. That means you should have a room with windows blacked out (or at least covered) and other sources of ambient light controlled as best as possible. Some folks paint their walls black, while others hang curtains to cut down on reflectivity. Doing any or all of these things will make stray light bounce around less and increase contrast on the screen. While all of those things are desirable, they are no longer absolutely required the way they used to be. The Home Cinema 5020UBe is bright enough that it can stand up to some ambient light and still produce a large, vibrant, high-contrast picture. We set up our 5020UBe on a rear shelf a few feet behind our seating area. The projector has a 2.1:1 zoom lens and extensive horizontal and vertical lens shift, so it only took a moment to place the projected image onto our 120" diagonal Stewart Studiotek 100 test screen. Immediately, you can tell that the 5020UBe is a bright projector. In the darkened theater environment described above, it can actually be far too bright. Luckily, the 5020UBe has a variety of image modes with a range of light outputs, allowing the projector to be used just as easily in the living room as in the theater. But only in the theater is the projector's deep, dark black level really evident. Use one of the less-bright image modes like THX or Cinema in Low lamp mode and you'll still have plenty of light -- the 5020UBe puts out almost 400 lumens even in its least-bright mode. That's perfect for a 100" diagonal image in a darkened theater. That 400 lumens is using the maximum telephoto end of the lens, too; most users will see something closer to 680 lumens, which is what that same mode puts out with the lens in its maximum wide angle position. In 3D, the projector defaults to its 3D image modes, which are wholly separate from the 2D modes we spent most of our time fine-tuning. The 5020UBe has three 3D modes, and they are clearly labeled: 3D Dynamic, 3D Cinema, and 3D THX. We did not find 3D THX very appealing since it puts out the least light, and the number one concern of most 3D buyers is putting enough light on the screen. 3D Cinema produces a more accurate picture than 3D Dynamic, but the sheer amount of light that 3D Dynamic mode pumps out makes it a very appealing option. Ultimately, our preferred setup looks like this: the 5020UBe sits on a rear shelf, as close to the center of the screen as possible. Using a 120" diagonal 1.3 gain 16:9 screen, Cinema Eco mode provides enough light for 2D viewing while 3D Dynamic or 3D Cinema both adequately light the screen for 3D. 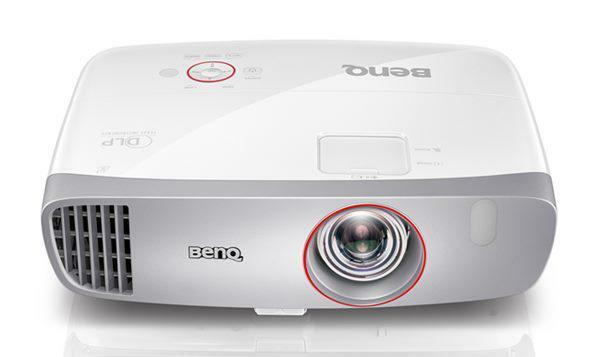 The 5020UBe is a projector that can handle large-screen 3D viewing without much trouble. Will there be a comparison with the Panasonic PT-AE8000? Thanks for the input lag analysis - absolutely brilliant! And it sets your reviews apart so keep 'em coming! Thanks very much for your informative review. Needing to upgrade from a Sanyo PLV-Z5 with a throw of 19` to a 120" 1.2 gain, 16:9, so it appears IMO that this Epson will be a huge upgrade in eye candy and specifically brightness. Glad i waited for the latest and passed on the 5010. Forgot to ask but could you please comment on the Fan noise in the brightest modes since it was not mentioned in your review ? Would love to see a comparison of the Epson 5020, Optoma HD33, Panasonic PT-AE8000, and Mistubishi HC-8000D. Would be very very helpful. Noone else has been able to reproduce your input lag time of 50 msec, and you provided no photo. Everyone else is getting 62msec. Please retest and post photo. Just bought and installed this projector to replace my aging Panny AE900U. What a difference! Inky blacks, quiet fan in Eco mode, and amazing clarity. I've got it ceiling mounted @ 15ft onto a 104" screen. Very pleased so far. The wireless HDMI is really great, as when I bought this house the previous owner had only run component cables behind the walls and ceiling. I didn't need to buy a new receiver either as the optical out from the wireless box sends all HDMI sound from whatever is plugged into it to the receiver. I'm debating putting à projector in basement but not habijt dedicated theater room. I was looking Epson 3020 or 5020. There is à soffit above my screen, so i was concerned about the pack of lense shift on 3020. THE soffit is about 13 inches. If i don't want THE projector hanging down 15 inches off ceiling, is THE 5020 THE way too go? I know the site has 5020 as home theater projector vs home video, any thoughts on how it handles ambient light. Lahoree - Screenshots aren't a helpful measure of relative performance, so we don't include them. In many cases, either due to camera settings or a user's monitor settings, they can actually be misleading. Never base your purchasing decisions on screenshots. As for the comparison, I hope you've read our comparison piece, available from the homepage. Erik - Yes, it is available from the homepage. JNo - thanks, we will! Silverfox - You're right, the 5020UB is a massive upgrade from the Sanyo Z5. Hope you enjoy it. Fan noise kicks up quite a bit in 3D, but overall we didn't find it objectionable. Jason - We wrote up a comparison with the AE8000; go check it out! Siddhant - I'm not sure what you mean. Any short-throw add-on lens would be a third-party product and therefore not projector-specific. And no, anamorphic stretch mode is not supported; for that feature you need to upgrade to the 6020UB. James - Having not tested the 5020UB against the HD1, I can't say. terraformer - Glad you enjoy the projector, and glad you found our review helpful! Hops - Living Room mode is great in ambient light, and lens shift will make your life much easier. I'd recommend the 5020UB. Hi,I'm looking to buy a new projector and I am looking at this one and the sony Val-hw30es.Which one in your opinion is better and why? Thank you. In your review you are very positive about the wireless capabilities (you say performance/quality are almost similar to hdmi). Does this also go for a fullHD 3d movie streamed over wireless hdmi? In your review you don't clearly specify this. I have got a Epson TW9000 – equivalent model of 5010e. Does anyone know if I can get the new 5 in 1 wireless transmitter designed for 5020ube somewhere so that I can use it on mine? Could this fit a 150 inch Diagonal with 1080p picture? "Does this also go for a fullHD 3d movie streamed over wireless hdmi?" therefore, it seems that the 5020ube doesn't support streaming of 3d content. Chris' question was never addressed. Many people are dying to know more about the 5020e and its wireless capabilities but nobody will comment. WILL the wireless (replacing HDMI) provide as good a signal as Epson claims when we're talking FULL HD and 3D??? I need to know if I need to make swiss cheese out of my ceiling or not. Has anyone really tested to see if the wireless picture is equally as good? I find the wireless transmission to be very difficult to use. I must have two separate inputs, one for cable, the other for DVD. There is no easy way to switch between them. It requires at least a minute and in one direction, five separate manual inputs. I have been unable to program the protocol into a universal remote. The result is that I am the only person in the household that knows how to use this device. regarding Wireless HD 3D streaming. I was reading the Owner manual for 5020Ube and the closest thing I found that talks about wireless 3D connectivity is on Page 81 which talks about "3D CONTENT ISSUES" Here is the text: "If your video device is connected to the WirelessHD Transmitter (PowerLite Home Cinema 5020UBe only), see page 85. " Then I went to page 85 and there is nothing there that talks about 3D streaming. Basically there is no direct disclosure that it cant support HD 3D wireless streaming. But again standard rev 1.0 does not support it and 5020e is 1.0 standard. Can the Epson Wireless Transmitter be software updated with the 1.1 standard or that a hardware thing. Here is the response from Epson rep Matt S. @ Epson: Thank you for contacting Epson regarding your Epson PowerLite Home Cinema 5020UBe. The wireless HD supports 3D or I may say when watching 3D movies and running through the wireless HD. The projector supports Frame packing, Side by side and top and bottom 3D format. As long you are streaming these type of 3D format to the wireless HD to the projector should not have any issue. I read one buyer review noting that wireless HDMI will only work if transmitter is front/forward of the projector; his transmitter is on the side and is not working out for him-he is upset about that. anyone buying the wireless model should review the wireless beam path Epson pointed out in the spec. to make sure they are ok with it first. the high frequency that these transmitters operates on (60 GHZ) is much more selective. I have to thank Projector Central for bringing this model to my attention. After waiting a month and a half my 5020 was finally delivered yesterday and I have to say it was definitely worth the wait. I haven't had the chance to run any level of calibration on the unit yet but it has a very impressive picture right out of the box, especially considering that I cheaped out on the screen (Elite Screens - Manual - 100"). The only negative thing I have to say about it so far is the wireless can be finicky. It took a few minutes to get it setup initially and it seems to work fine now. That said, it will drop the connection when transitioning from the PS3 menu to the bluray menu and even sometimes going between menus on the disc. If you get impatient and start playing around with the buttons and trying to force it to reconnect it'll only take more time. As it is, these little episodes only last about 10-15 seconds if you leave it alone. I think I've avoided some of the issues others have had as I have all of sources using HDMI that's routed through my receiver (Marantz NR 1603) so I don't need to switch inputs on the wireless. Any hint of buyers remorse ($2900 for a projector is a bit of a stretch for some (many) of us) was quickly eliminated after watching the first 30 minutes of Prometheus. I'm very interested in purchasing this projector for my home theater. Having never bought a projector before, I was curious about ceiling mounting. Can anyone confirm this projector mounts upside down or right side up? What's the setting to flip the image if it's an upside down mount? Also, can anyone recommend a good ceiling mount that's still somewhat inexpensive? All projectors that I know of including this one now have a setting to allow for inversion of the image to allow for ceiling mount. After 500 hours everything seems to be going great. Swapped out the Marantz for a Yamaha and the wireless connection lag has all but disapeared. Havent had any issues with image quality from DVDs like one gentleman had mentioned. I'd venture a guess that either his DVD player isn't upconverting or he got a bad unit. I ran one optimization disc but not terribly impressed with the results over the standard settings. Currently debating whether it's worth having it professionally calibrated. For the most part I watch movies and video games in Cinema/Eco. Still very happy with the.purchase.